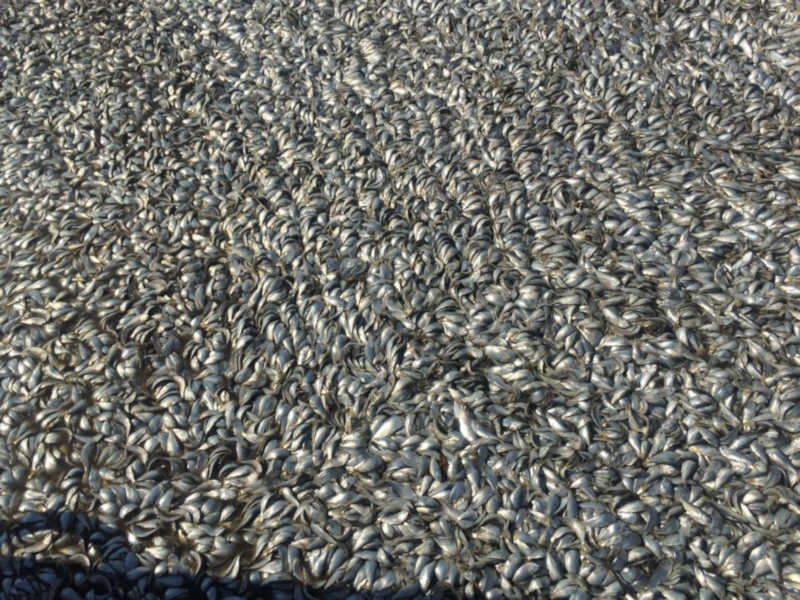 LITTLE EGG HARBOR, New Jersey (WABC) -- Hundreds of dead fish washed up along the shore in Little Egg Harbor on Saturday morning in the second massive fish die-off along the New Jersey coast this week. More than a million dead Peanut Bunker fish washed ashore in Waackaack Creek in Keansburg earlier this week. 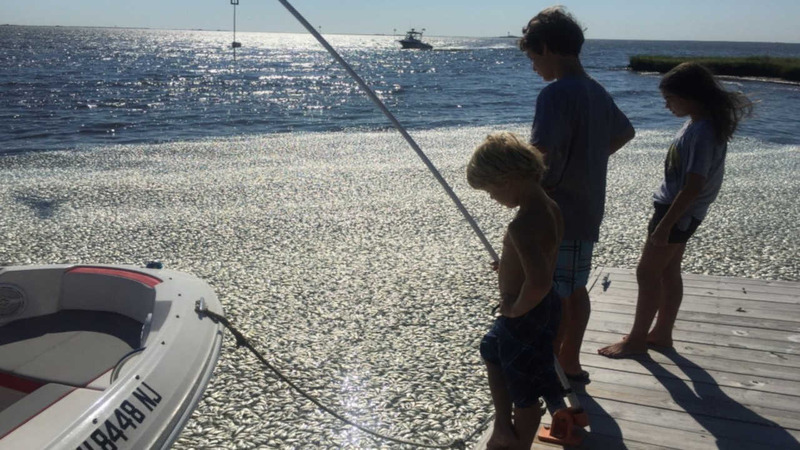 On Saturday, the dead fish piled up in the water of Great Bay along the Osborn Island section. The fish are believed to be bait fish.